Youthful! 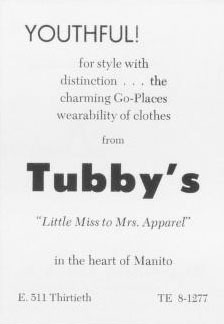 For style with distinction... the charming go-places wearability of clothes from Tubby's. "Little Miss to Mrs. Apparel" in the heart of Manito. TE 8-1277.